Ensuring we keep all levels of climbers happy, we have a range of classes available for beginners through to improvers and more advanced climbers to further your skills. Our experienced instructors have climbed at a high level both indoors and outdoors across the world. Whether you’ve climbed before and feel a bit rusty and want a refresher course or you are a complete climbing Virgin the Introduction is a perfect way to get you bouldering again. If you’d like to try climbing but have kids, have a look at our family package and get you all moving together! This session involves an hour with an instructor learning the different safety elements to keep you all safe and others in the centre. Moving onto simple techniques so you can enjoy our puzzles even more. 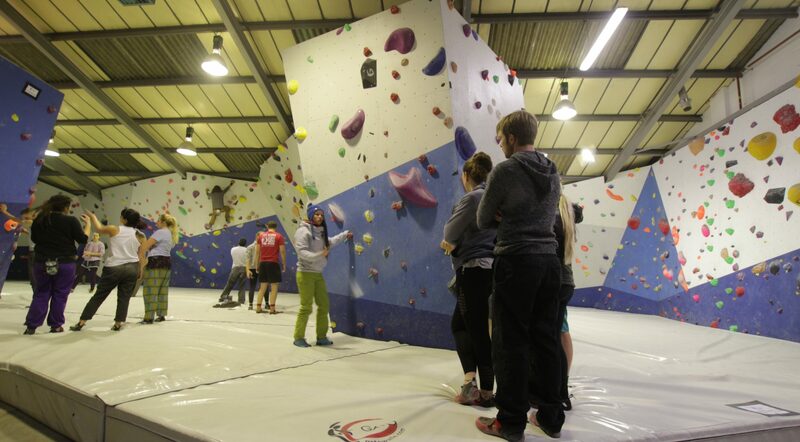 If you’ve been climbing for a while and hit that dreaded plateau our improver sessions are perfect for you. One of our experienced coaches will go around the centre with you for an hour and half analysing your climbing finding those weaknesses that we just don’t see when we’re on the wall. We will show you where those weaknesses are and how to overcome them allowing you to carry on crushing!